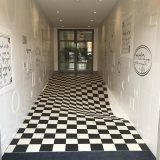 Some people really love optical illusions. So much so that they are willing to have a deceptive tattoo inked permanently onto their body. I suppose tattoos are not always permanent. They could be removed at some point in the future, but it would come at considerable cost (and pain). 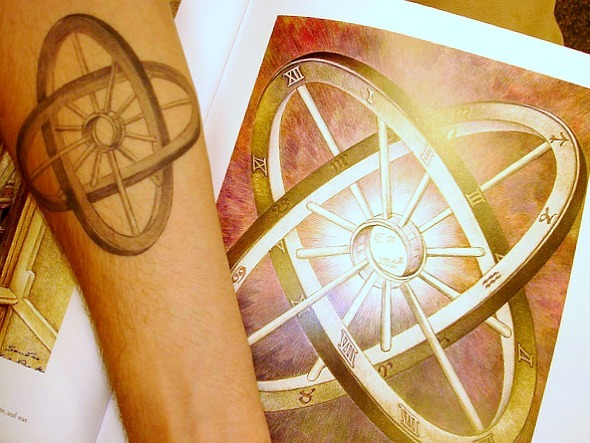 Take a look at the following optical illusion tattoos and let us know which one is your favorite. The first example is an ambigram tattoo. From one angle, the tattoo reads “Art & Science”. 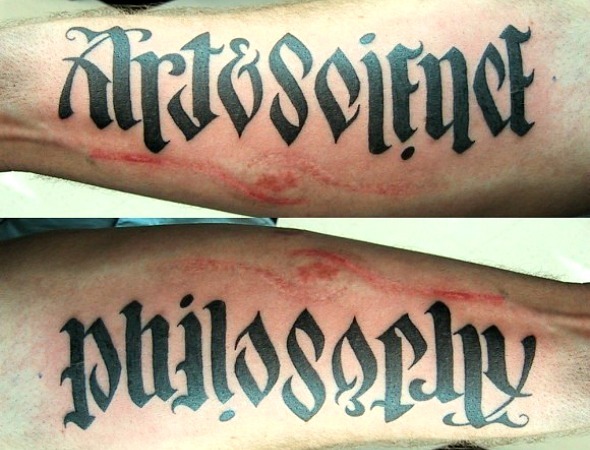 When viewed upside down, the same tattoo reveals the word “Philosophy”. The tattoo is of really good quality. The lines look clean and the ambigram is easily decipherable regardless of which direction it is viewed. The next tattoo is an example of a trompe l’oeil tattoo. 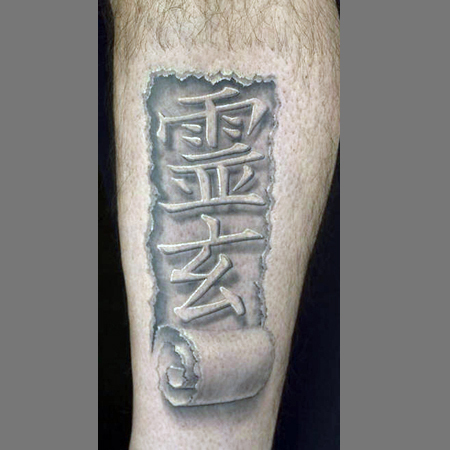 It appears that the skin has been peeled down to reveal a series of Asian lettering. I have absolutely no idea what it says or even what language it represents.  Can anyone help here? The final tattoo is an example of ink comprising an impossible object. This person had a tattoo (left) created from a drawing by Swiss artist Sandro Del-Prete (right). The tattoo presents two wheels connected by spokes in an impossible manner. I’m curious I got 2 boys both start with S and end with N Same letters? Are you thinking about getting an ambigram tattoo that would feature both of their names?